Learning Management Systems are a big part of the Flipped Classroom movement. However, you do not have to use a flipped classroom to utilize these tools. Some are free and others are paid such as Blackboard. Meeting and interacting with students online is important. Facebook is bad word in education and therefore has not been utilized as a way to interact with students and teachers. I have tried many different ways to utilize interactive sites. Websites, Blackboard, Moodle, and the list goes on. Two of the most popular from my experience are Edmodo and Schoology. Both are great but it depends on what you will use them for. Therefore I thought I would do a little bit of a compare and contrast on their use for Libraries. Just because some of use do not have traditional classes does not mean that would could not use such a tool. Edmodo – this is a website that uses a simplified version of Facebook. It can be used in the classroom to connect with students and even as a location for students to turn in work. There is a both a social aspect and assessment. Quizes, grades, and attendance can be completed using this site. It is completely free. The only cost would be if you chose to add apps to the website that have a cost. I used this site last year for all of my clubs and library assistants called iStaff. I found the students tended to forget to check outside of meetings. Though a couple of teachers have started to use it so I think its use will become habitual. If a student has a smartphone they can access the tool. The site takes some of the functionality of Blackboard, Google Classroom, and Edmodo. I think of it as the big brother of Edmodo. I think Edmodo is perfect for elementary and early middle school and then upper middle school and high school would graduate to Schoology. It is very similar to what students will use in College even if they do not take online classes. It connects your class as a ‘course’ not a ‘class’. This makes it easier for high school teachers, but for my single class, students became confused as to where they needed to go for their assignments, discussion boards etc. 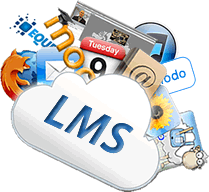 In the end the LMS that you choose will depend entirely on what the students need. 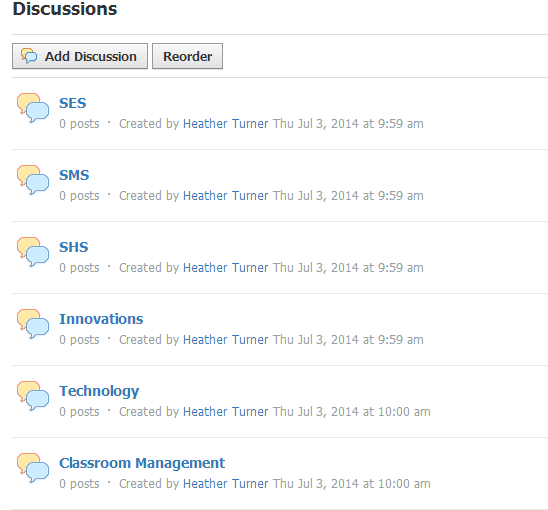 Schoology is my choice due to the functionality of the site. I can do so much more with the site and organizationally speaker it works for me. It makes sense to me. I really gave Edmodo a fair shot and used it the entire year but I found it to be a bit too social for my needs. I encourage collaboration and interaction of course. But in the end the purpose the LMS is clear – to convey information, interact with it, and further the knowledge journey.